Read on as your expert optometrist from Vision Care Plus explains more. You should always wash your hands before touching your contact lenses to prevent debris, germs or dirt from touching your eyes. We suggest using mild, non-cosmetic soaps to avoid any eye irritations. Use a clean, lint-free towel to dry your hands. Remove your contact lenses and gently rub them using your fingers and then rinse them with freshly poured, prescribed lens solution. This will help remove surface deposits. Don’t use water or any other liquid because they might contain impurities that can cause irritations or infections. Always replace your contact lenses once their prescribed period is finished. For example, daily disposable lenses are worn in the morning and then disposed of at the end of the day while extended wear contact lenses can be used for up to six months. Following the prescribed schedule will prevent complications from prolonged lens wear. Store your contact lenses correctly. Use a good lens case and clean it after every use. Do not leave the case in humid places to prevent mildew formation. Finally, replace your lens case every three months. 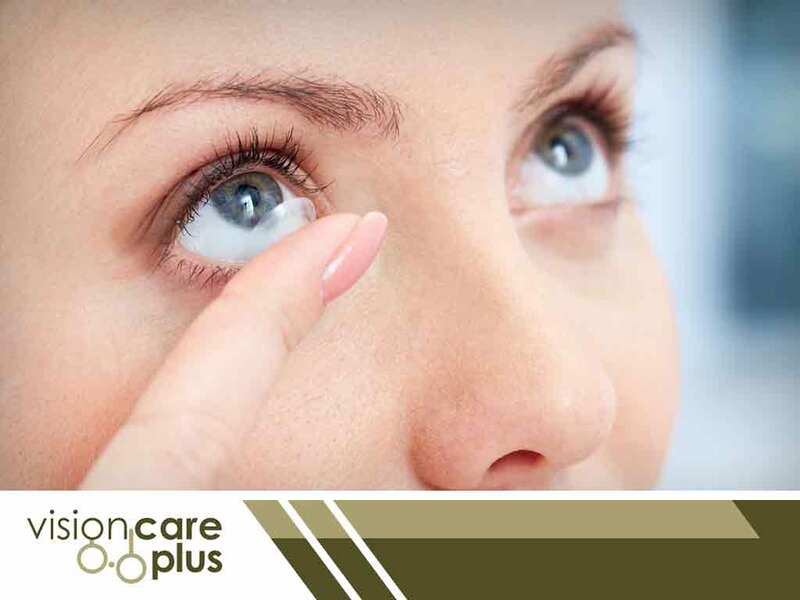 Vision Care Plus offers high-quality contact lenses and eyeglasses to our patients and we also offer a wide range of eye care services. We are a trusted eye care center and most of our business comes from referrals. Call us at (844) 201-5900 to learn more about our services and products. We serve patients in Camrose and Leduc, Alberta.